As a glass artisan I have always been drawn to the beauty and versatility of glass, especially when you consider that the first evidence of glass being used by man was in 4000BC. Over the centuries as the use of glass has evolved, so has the level of craftsmanship and skill necessary to manipulate it. The medium is successfully malleable in the hands of contemporary glass artists like myself as we have been trained how to manipulate its shape, influence the texture and add extra interest with engraving and the infusion of different colours. After many years of training and experience in using the medium of glass, I can apply many complex techniques to create a diverse range of both practical and decorative items, some of which can be viewed on my website. Glass plays an important role in the production of a diverse range of everyday products and it is made using slightly different techniques and composition mixes, depending on what the end use will be. It is, however, essentially made up of three non-toxic natural materials, making it especially kind to the environment. Whilst there may be other, cheaper substitutes, such as plastics and acrylic, glass is by far a more superior medium. For a glass artisan like myself, it is not only more beautiful and extremely hard wearing, but a much more sophisticated material that also represents quality and craftsmanship. Another added bonus is the fact that glass holds greater ‘green credentials’ than other materials, such as acrylic and plastics, and this is also a great draw for me. As glass can be recycled an infinite number of times and requires much less processing than other recyclable materials, it subsequently has more limited impact on the planet. So, what’s not to like? These eco credentials fall in line with my love of the natural world and I am also developing a more artisanal range of slate and glass decorative wall plaques which can be enjoyed both inside and outdoors. 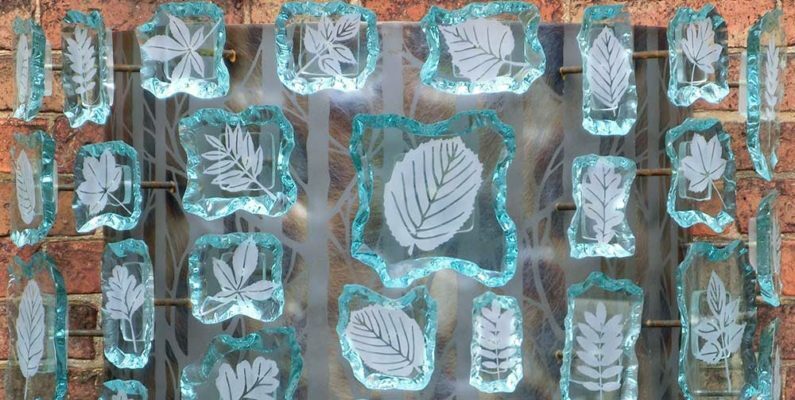 These pieces of art are inspired by nature, and include detailed studies of an intricate and delicate fern frond, which is then hand engraved onto glass and mounted on slate. By using complimentary natural mediums like wood, glass and slate, these art installations sit in perfect harmony with any outdoor spaces. 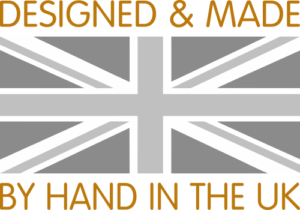 I am not moving away from the core business of making glass house number and name plaques but responding to feedback and requests from prospective and existing customers for pieces of art that are also suitable for outdoor and garden installation. More information on these decorative plaques can be found on my website or keep following my blogs for more in-depth details over the next few months.